Formally Trained as an avant-garde, abstract expressionist painter, Stan Herd went on to become something a little different -- an earthworks artist who takes fields where crops are grown and turns them into sprawling canvases on which he makes art of his own. It has been said about him: "Herd is an unusual artist. His medium is the earth itself; his palette consists of soil, wheat, sunflowers, and corn; his brush is a tractor; and his images can be seen only from an airplane." 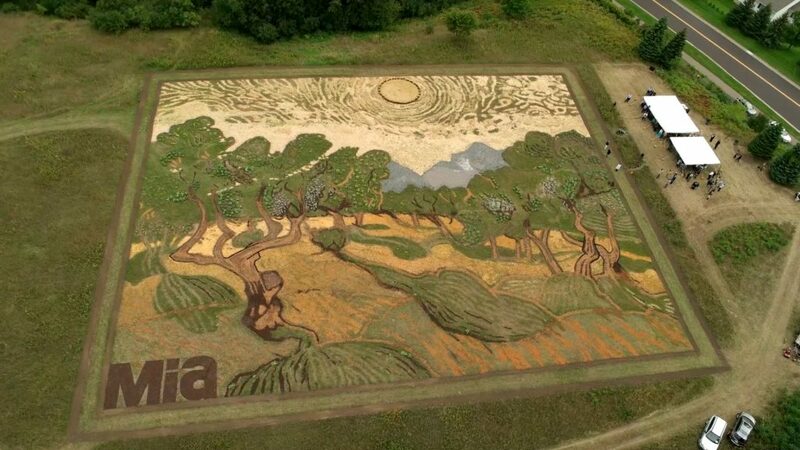 Many of his early creations can be revisited in his 1994 book Crop Art and Other Earthworks. To see his latest work, just click play on the video above. 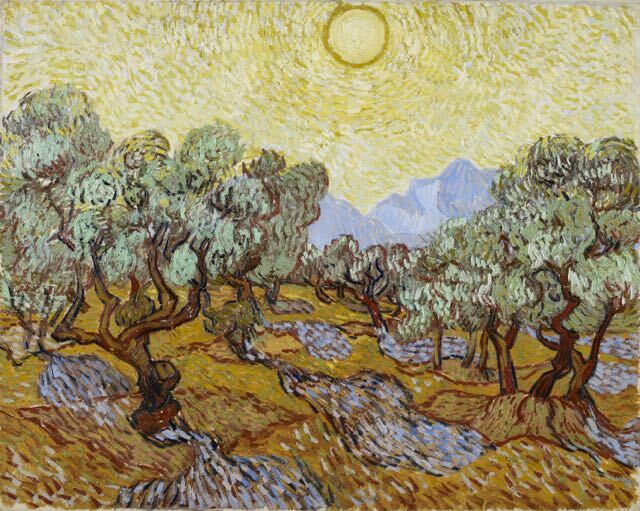 Commissioned by the Minneapolis Institute of Art, this earthwork features a rendering of an "Olive Tree" painting that Van Gogh completed as part of a larger series of Olive Tree paintings created while living in an asylum in Saint-Rémy in 1889. Mr. Herd started work on the project last spring, planting different crops in a field owned by Thomson Reuters. By fall, passengers flying into Minneapolis could catch a view of Herd's Van Gogh--like the one you see above. This is amazing! Truly inspirational!